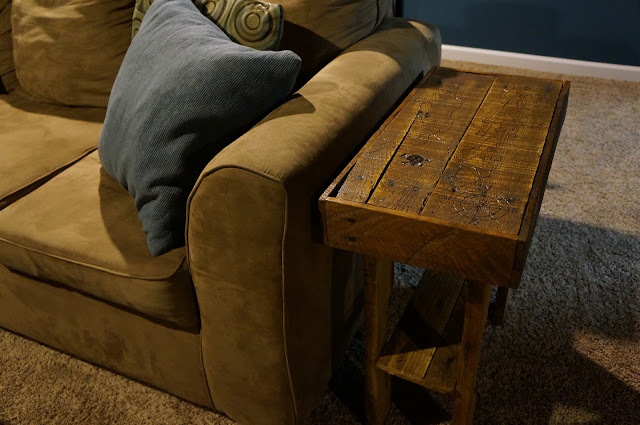 We have had an influx of pallets recently and so I took to Pinterest for some ideas of ways to use them up! 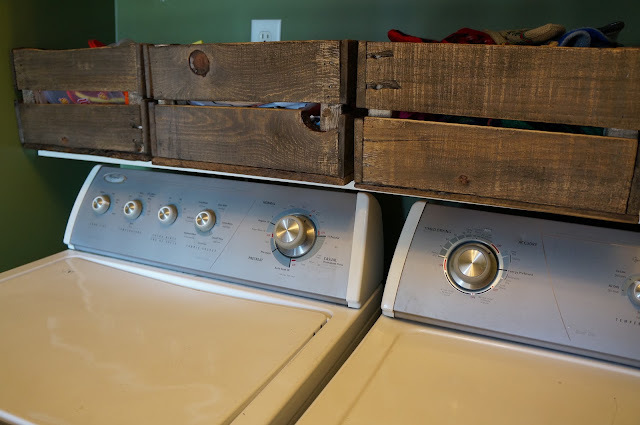 These wooden storage crates for our laundry room. I've had a few different things here over the course of the past year but nothing that I completely enjoyed looking at all the time. It's amazing how much time I spend in my laundry room, not only with our laundry but also as it is our mudroom and also craft storage room. Too much time. I digress. So these bins will hold towels and bathing suits in the summer and hold Letty's school papers and hats and gloves in the winter. I debated wood burning them but decided I'd rather be able to repurpose them later if I wanted. 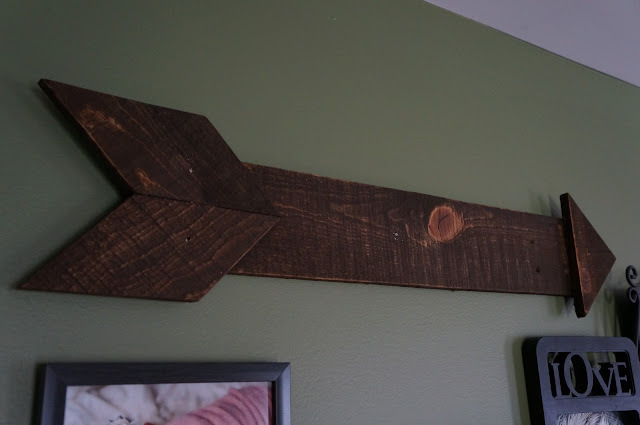 This arrow for our gallery wall. Because why not? 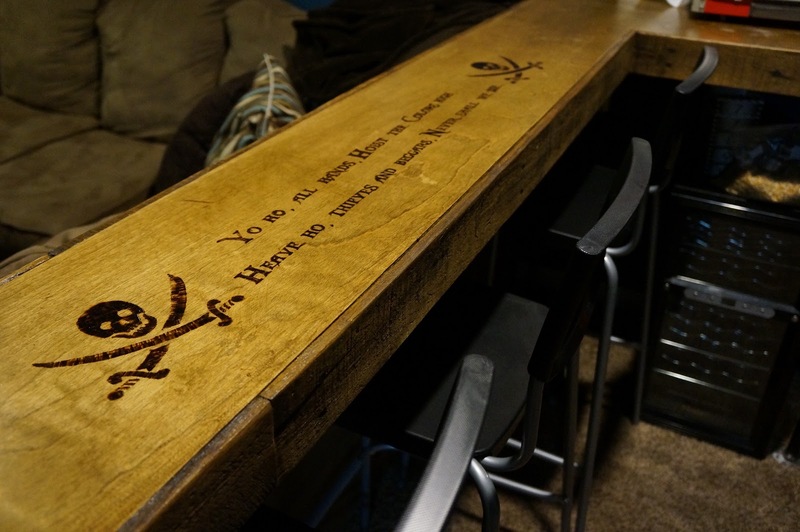 Pirate themed end table for the basement. I just didn't have a place for my wine. That's a problem. Thanks as always to my Handy Matty! seriously i wish he could fly down here and make me things. or just send them. they are so great! or i guess i could just find my own handy boyfriend. options. haha. happy friday! Is he a needs to be doing something type of guy? These are all so much, esp the pirate themed ones. Whimsical! Oh I love it all! Especially the arrow. Well done Matt! So cool! I will be looking at more of your "Handy Matty" posts this weekend :) PS Do not use the hashtag #handyhubby on instagram...trust me I learned the hard way lol So many creepy people on there!